SALE! now $95, originally $195. 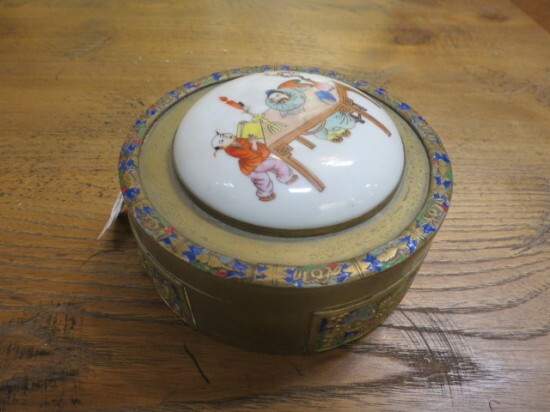 Vintage antique Chinese brass and enamel box with porcelain top. 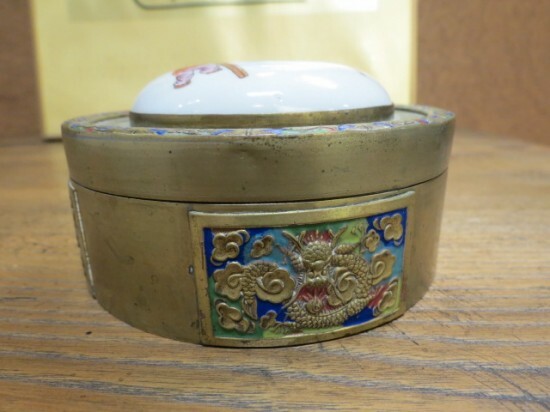 Small brass box with blue enamel floral details on sides. 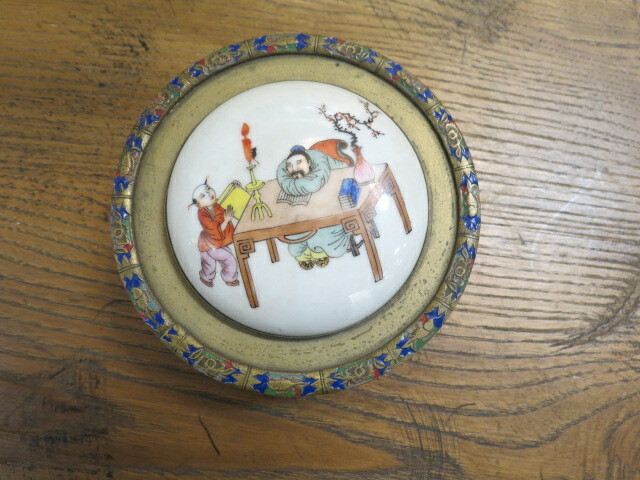 Top has hand painted porcelain scene with two figures. Excellent condition. 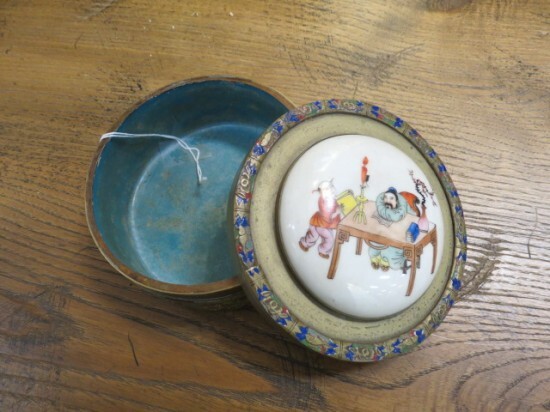 Measures 5” wide and 2” tall.